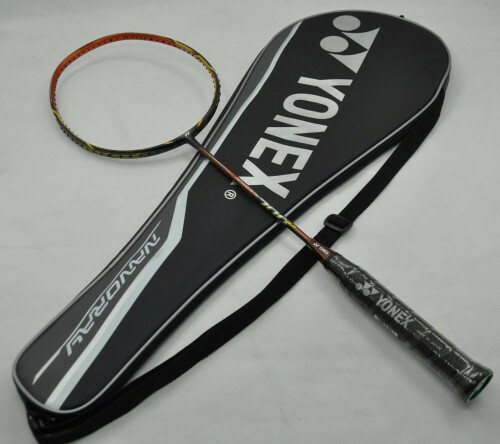 The Yonex NanoRay 700RP (NR700RP - Repulsion) badminton racket overwhelms opponents with even faster shot-making and greater repulsion power. Fullerene is equipped into the lower sides of the NanoRay 700RP frame to deliver high elasticity and stiffness for exhilarating sharp repulsion. Combined with increased stiffness from the new Aero Frame shape, the Yonex NanoRay 700RP (NR700RP - Repulsion) badminton racket generates exceptional fast speed drive shots. Description: NANORAY's revolutionary frame design with FULLERENE for instant repulsion to make lightning fast attacks.